This client’s cooling tower blades were eroded and deteriorated due to UV attack. Contracting & Materials, Inc. solved their problem by water blasting to prepare the substrate, rebuild the eroded areas with Belzona, and applied an efficiency enhancement coating to the blades and an erosion resistant coating on the leading edges. 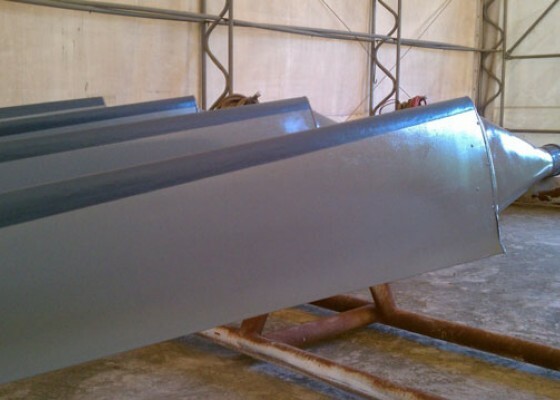 The repair and coating solution was less than half of the replacement costs and down time was greatly reduced. The refurbishment can be completed in place or removed and repaired at our facility.